Most fans of the hip-hop know that there has been a recent shake in the culture with the re-occurring "beefs" between artists but no one is dropping tracks. In a competitive field like the rap game, it's a must. 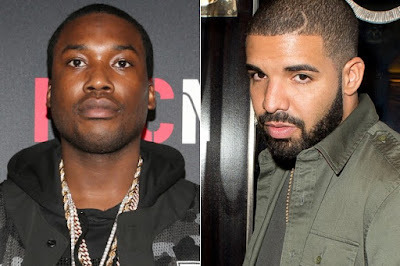 Meek Mill and Drake has been the headlines as two of the biggest artists in the game right now. Meek Mill took to twitter stating that Drake does not write his own raps and that his ghostwriter wrote the featured verse on his album for the song titled "R.I.C.O." Instead of addressing his discrepancy with Drake personally, he took to twitter during the VMA's. Drake on the other hand, even with his past of not necessarily handling all his issues on wax, he does this time. Perhaps other rappers can learn from Drake's move and actually you know, rap? Meek Mill's initial response to Drake's track was to tweet. Is it safe to say we can chalk this up as an "L" for him in this "beef" since he would rather tweet than rap? Hopefully he responds soon. Check out "Charged Up" below.